Not only is the NANOMEMBRANE nanofibrous membrane highly hydrophobic with adequately high water column, but it is also highly oleophobic. 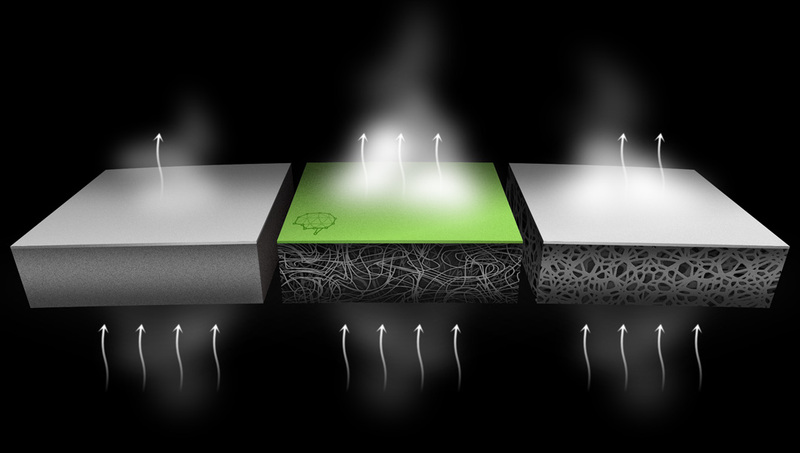 The surface of the NANOMEMBRANE nanofibrous membrane is coated with a thin layer of nanoparticles creating the so called "lotus effect", which prevents the unique pores from soiling and subsequent deterioration of the excellent properties of the NANOMEMBRANE nanofibrous membrane. Moreover, the same technology is used for the upper knitted and woven fabrics to which the NANOMEMBRANE nanofibrous membrane is laminated, making it impossible for impurities as well as other materials to adhere to the surface of the fabric. 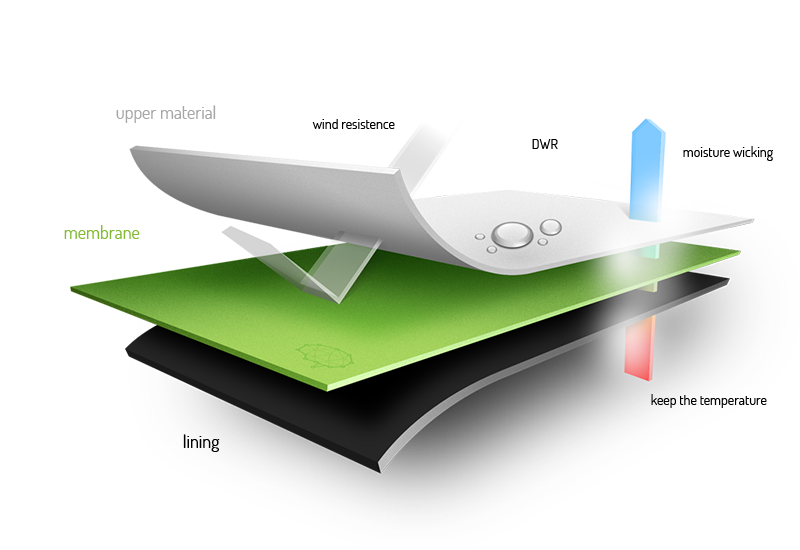 It is a hydrophobic and oleophobic treatment of textiles, be it woven, knitted or non-woven textiles. A thin layer of nanoparticles is created on the surface, making it extremely water-repellent and oleophobic. In contrast with normal hydrophobic and oleophobic treatments, there is no clogging of the interfibre pores and subsequent deterioration of the capacity to remove moisture from the skin and transfer it through the textile. Furthermore, it is possible to clean the treated surfaces with standard detergents and it has been scientifically proved that the Hydrophobic Extreme treatment is at least four times more durable than materials from other manufacturers, saving the customer time and money. Moreover, the treatment is suitable for textiles from natural fibres like cotton or leather as well as from synthetic materials. All woven and knitted fabrics laminated by the NANOMEMBRANE nanofibrous membrane are factory-treated with Hydrophobic Extreme. This treatment helps to relieve the strain on the environment as the clothing does not need to be washed so often. Our water-repellent treatment does not use PFOA.